When electrons move through a current or wire, they produce invisible fields of electric and magnetic energy, and these are known collectively as electromagnetic fields. But for some persons, there are implications more sinister than powering a lava lamp or electric stove. To believers, these fields are lethal, and they’re not referring to the guy who accidentally killed himself when he used a stove to heat his lava lamp. EMFs are most frequently delivered through power lines. The ubiquity of these lines and the continually lengthening average life span would seem to contradict claims regarding health damage. More importantly, there is no identified mechanism by which electromagnetic fields would cause cancer, the illness most frequently attributed to the lines. So, electromagnetic fields are low energy, they don’t ionize, and won’t damage DNA or cells. It’s OK to blend that gluten-free organic pomegranate smoothie as long as you don’t mind it swirling about in a container made of synthetic chemicals. But as long as technology advances, concern over it will follow. Once power lines were cleared of wrongdoing, smart meters became the electric company resource responsible for slaying children. Smart meters measure the amount of electricity used, then transmit that information to the power company without an employee having to come to a house and read it. 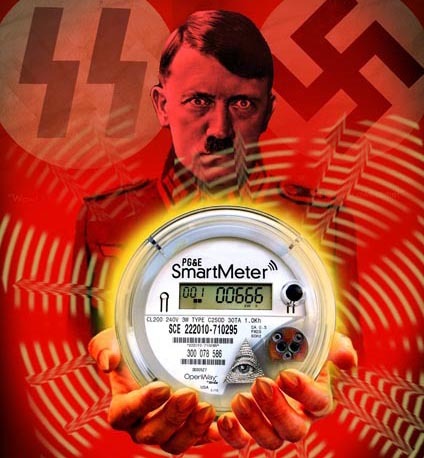 The smart meters emit EMFs for only about 45 seconds per day and they emit less than a Fry Daddy, but they are considered by some people to be sources of deadly radiation. Despite the meters spitting out EMFs less than .1 percent of the day, persons with electromagnetic hypersensitivity insist they can feel EMFs lurking and pouncing all the time. These electro-sensitive people report suffering various physical and psychological ailments they say are caused by household appliances. Electro-sensitive is not a medical term and is self-described, self-diagnosed, and possibly self-medicated. It’s hard to say how many persons are afflicted by this psychosomatic illness. One telephone survey in California had three percent of respondents claiming it, but most of those with it might be avoiding telephones. Double-blind, controlled studies have repeatedly shown that electro-sensitives are unable to distinguish between genuine and sham electro-magnetic fields. When notional cell phones or other devices were used, symptoms were still reported. This is due to the placebo’s lesser-known sibling, the Noncebo Effect. British physician and academic Ben Goldacre explained, “If one thinks something causes harm, one’s stress level rises. Some of the symptoms of stress are sleeplessness, palpitations, headaches and anxiety, the exact symptoms reported by sufferers of electro-sensitivity.